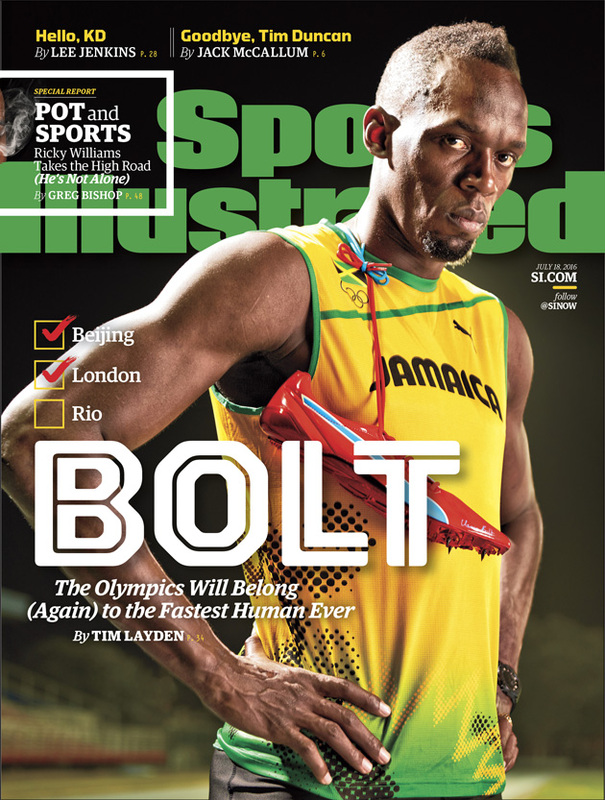 Olympic gold medalist Usain Bolt is featured on the cover of Sports Illustrated three weeks out from the start of the 2016 Olympics in Rio de Janeiro. Six-time Olympic gold medalist Usain Bolt is featured on the cover of Sports Illustrated three weeks before the start of the 2016 Olympics in Rio de Janeiro. Bolt withdrew from the Jamaican Olympic trials on July 1 with a hamstring tear, but was still selected to the Jamaican national team last week on a medical exemption. SI’s Tim Layden writes in this week’s cover story how Bolt plans to push past his injury setback in his quest for three more gold medals to cap his transcendent career. Also in this issue is a special report by Greg Bishop on marijuana and sports, which accompanies the SI Films production on former NFL running back Ricky Williams and his experience with the drug. 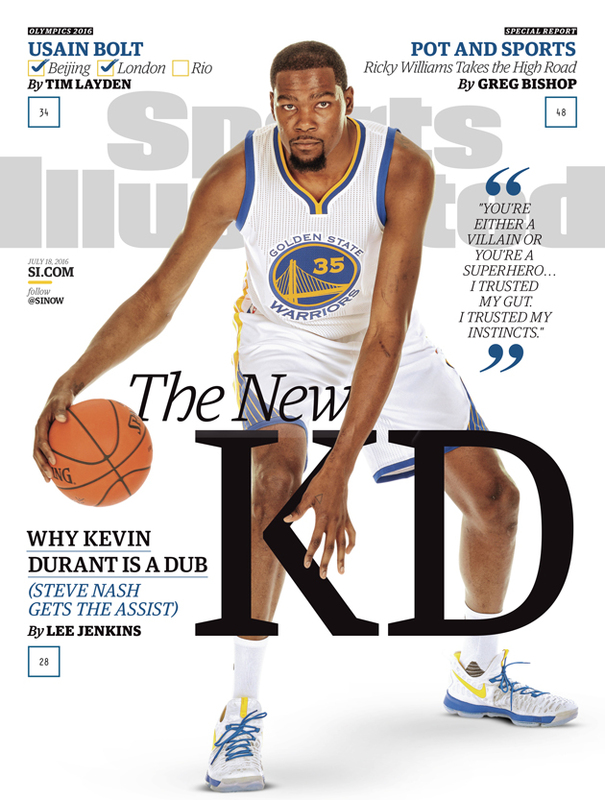 Lee Jenkins writes the regional cover story about Kevin Durant’s arrival to the Golden State Warriors, and Jack McCallum also pays tribute to Spurs legend Tim Duncan after his retirement announcement. The Bolt cover will be delivered nationally, while the regional cover featuring Durant will be delivered to Washington, Oregon, Idaho, Utah, Arizona, Nevada, Hawaii, California and Alaska.